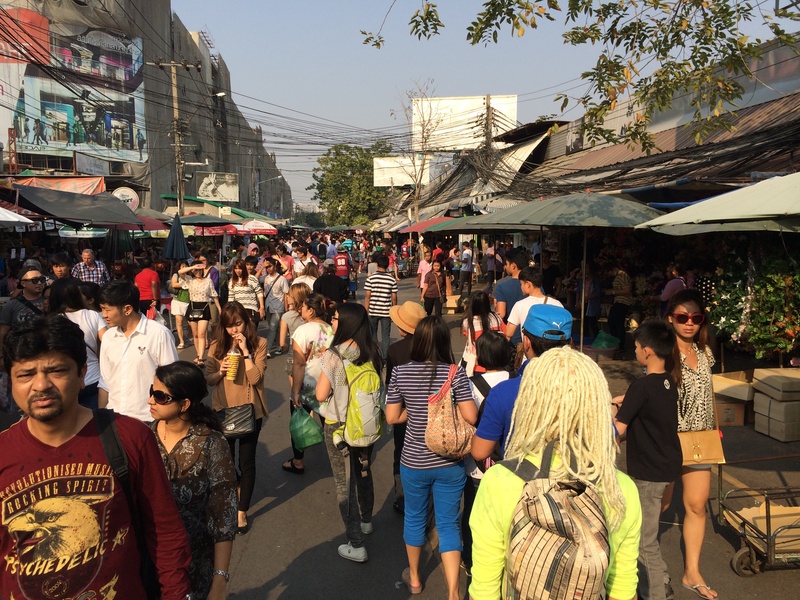 One of Bangkok’s most famous “must do” things for tourists and residents alike is to visit Chatuchak Weekend Market. Also known as JJ market, if you cannot find it here, I am guessing you don’t really need it! When I lived in Bangkok this was a regular stop for me, and now when I go back for one of my frequent visits, it definitely tops my list of things to do when in Bangkok. 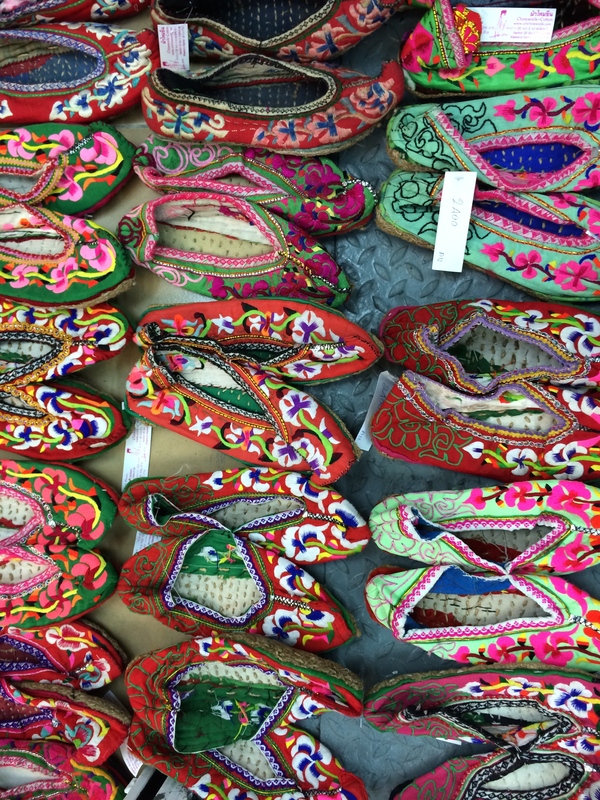 I never get tired of the colors, the food, the people, the chaos….and of course the shopping. 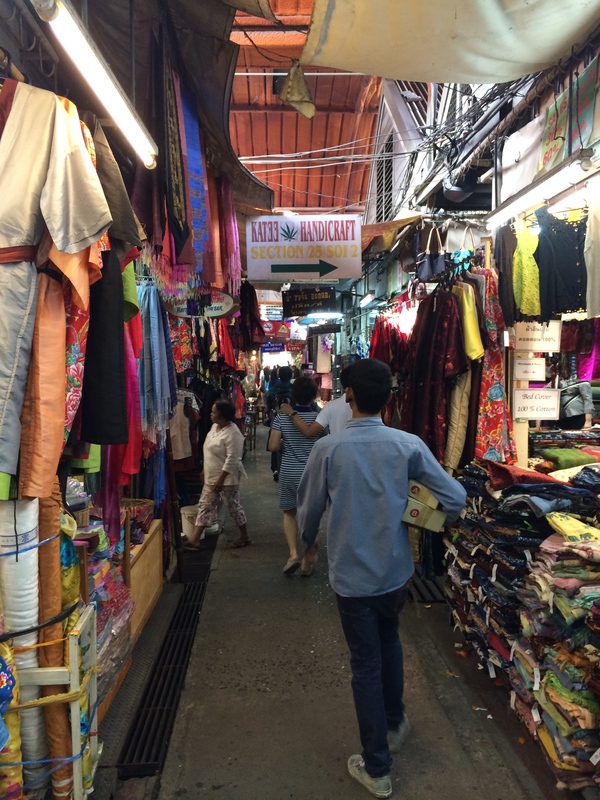 I hope this can give you a feel for the experience and if you have never been to the Chatuchak Weekend Market, I think the photos will whet your appetite for a future visit. 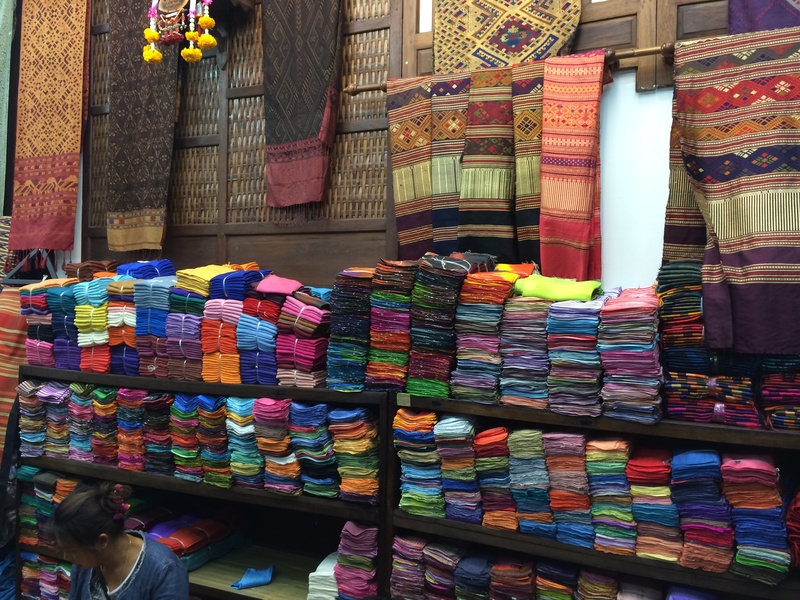 And even if you are a longtime Bangkok resident who hasn’t been to the weekend market in a while, I have a feeling you will be inspired to pay a visit soon! 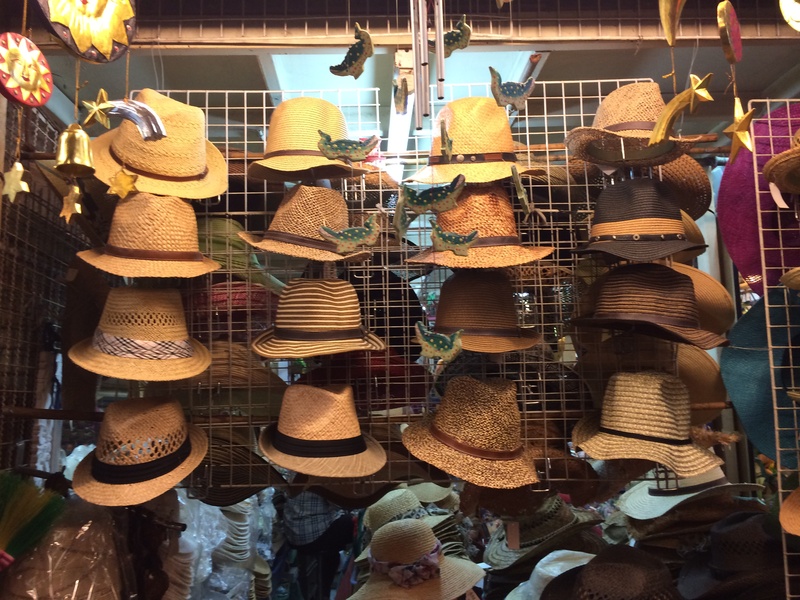 Straw hats of every description which you might just need, if you don’t already have one, to keep the blazing Bangkok sun out of your eyes. 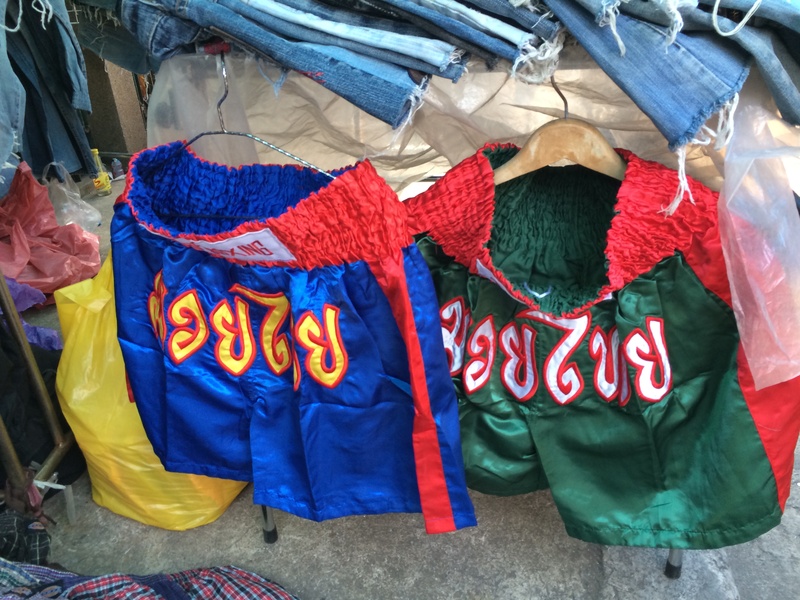 Need some Thai boxing gear? 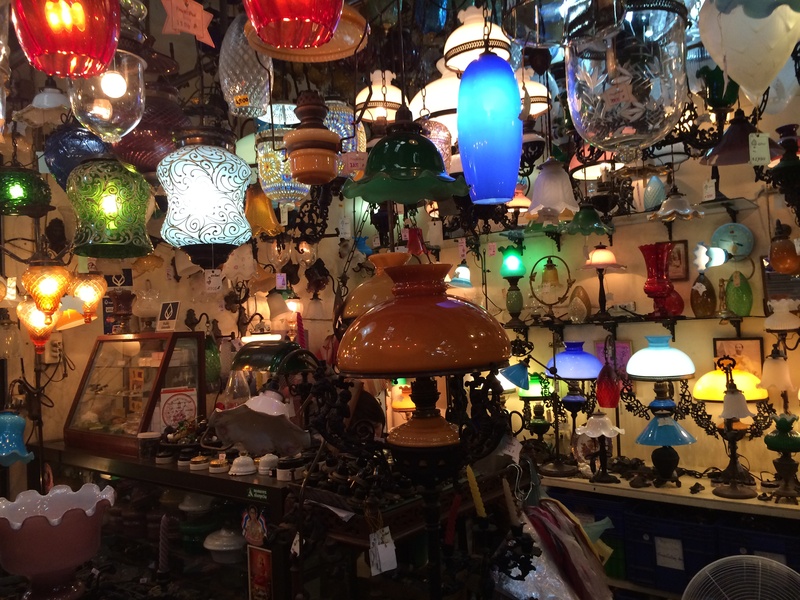 … but you can also wander in the shaded mazes of stalls. Have you even seen a Chinese style opium pipe? 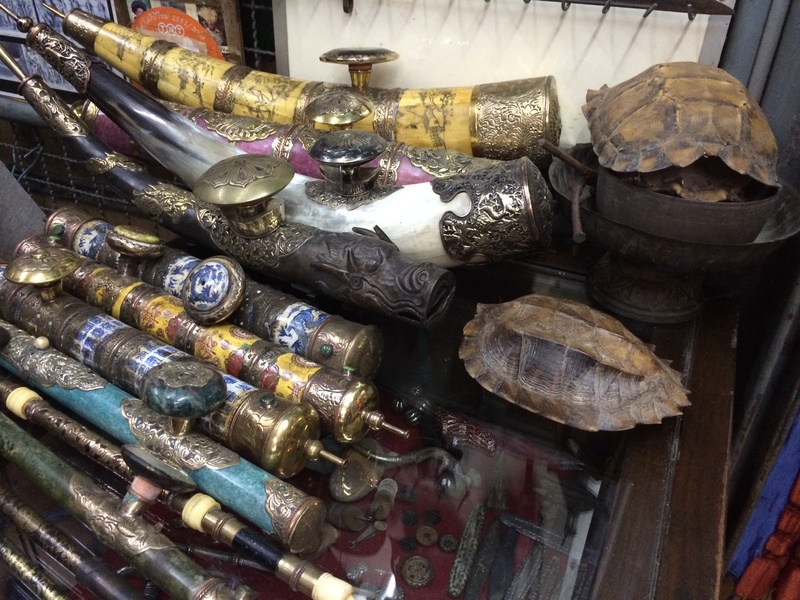 Or a real tortoise shell/ Yes, they are illegal now, but you can find the relics at the Bangkok weekend market. 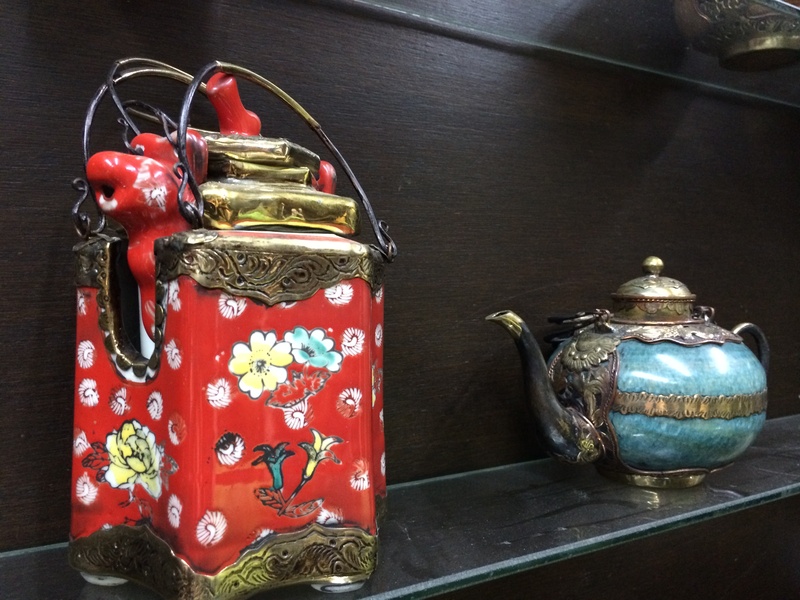 Teapots, Thai celadon, decorative glass and all manner of tableware are also all over Chatuchak market. They have an animal section with everything you can imagine and maybe some things you can’t. From things furry like puppies, kittens, hamsters and guinea pigs,,,, to things wet or slimy like fish and snakes… to even more pedestrian barnyard animals. 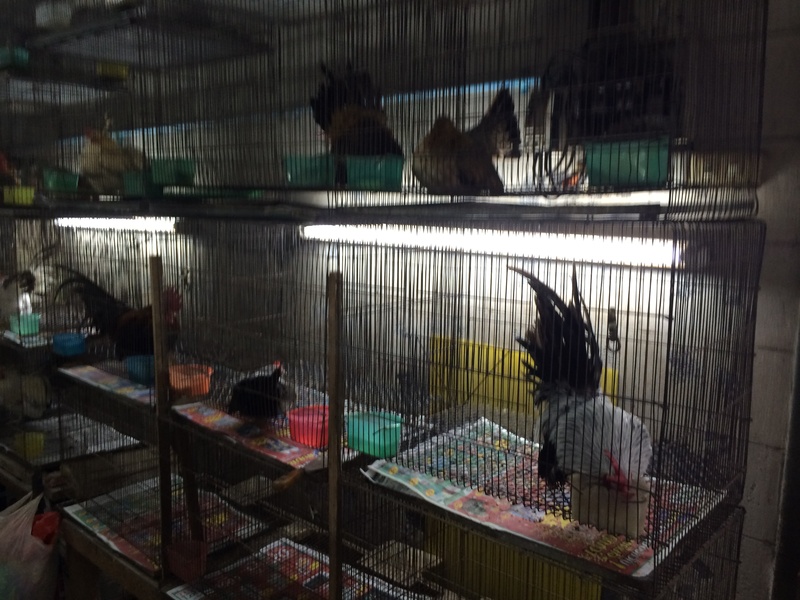 Want to buy a chicken? 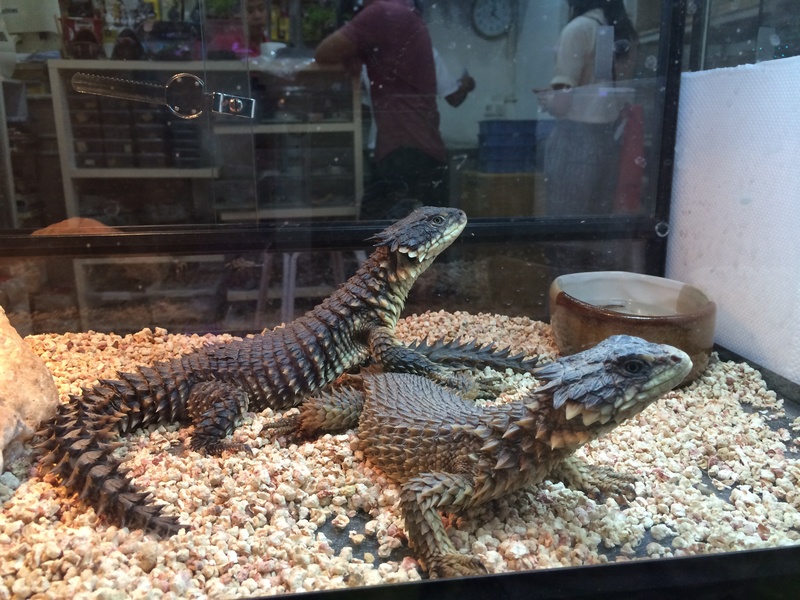 Or maybe a pair of lizards? 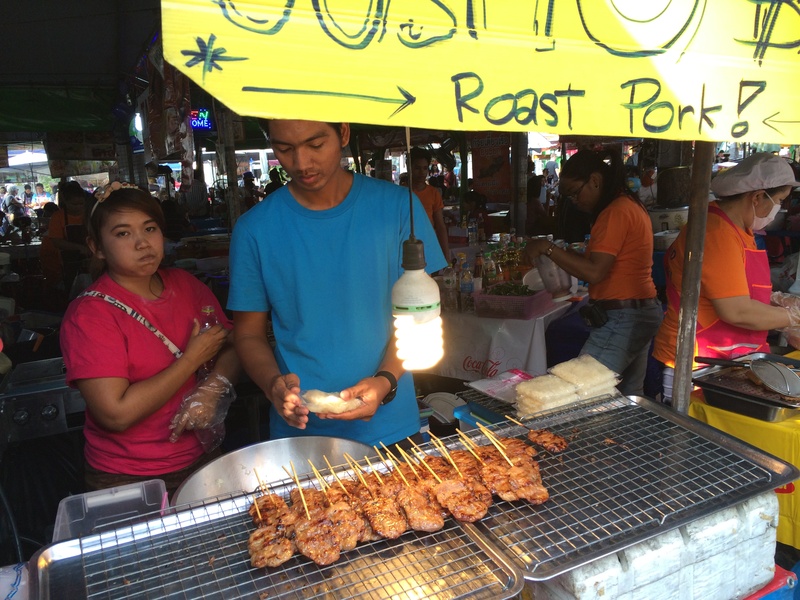 About this time, after traversing the Chatuchak weekend market and getting lost at least once, you are probably ready to have a rest and maybe a drink or something to eat. 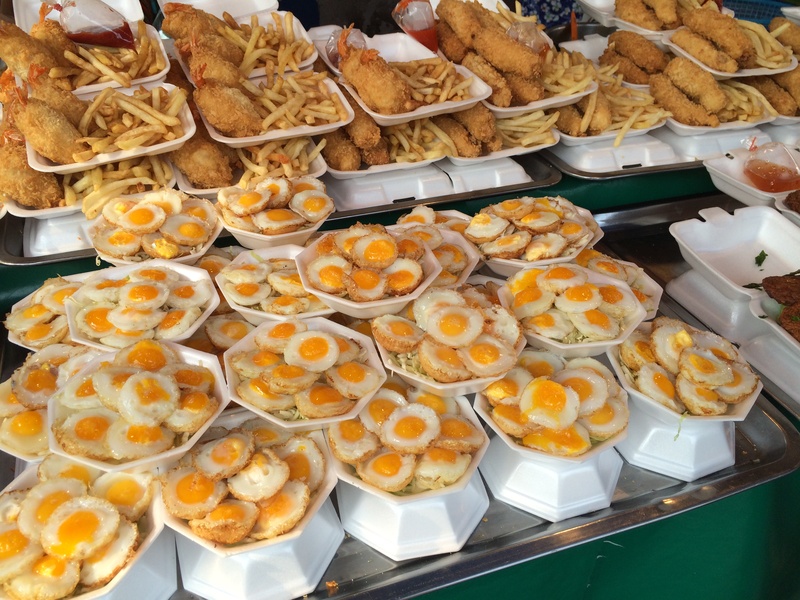 The food at Chatuchak is abundant and spectacular. 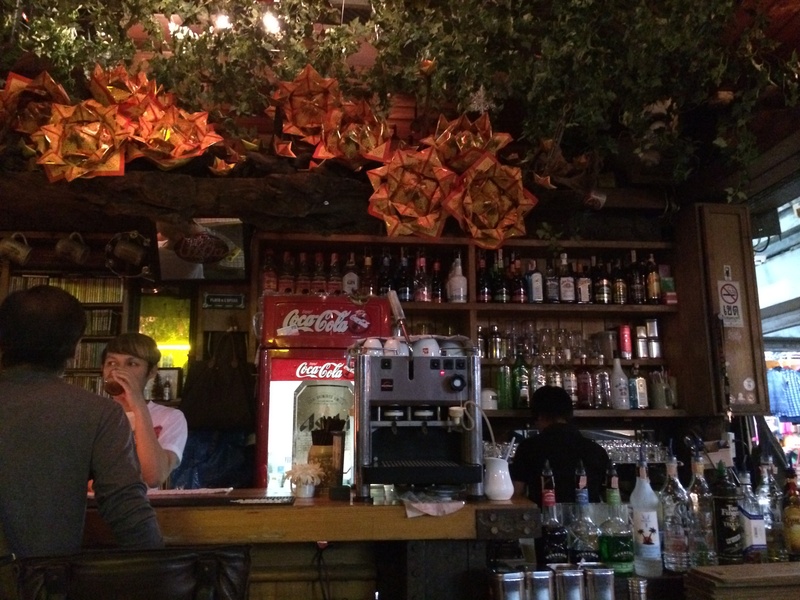 In fact many Thai residents come here just to eat, drink and hangout. 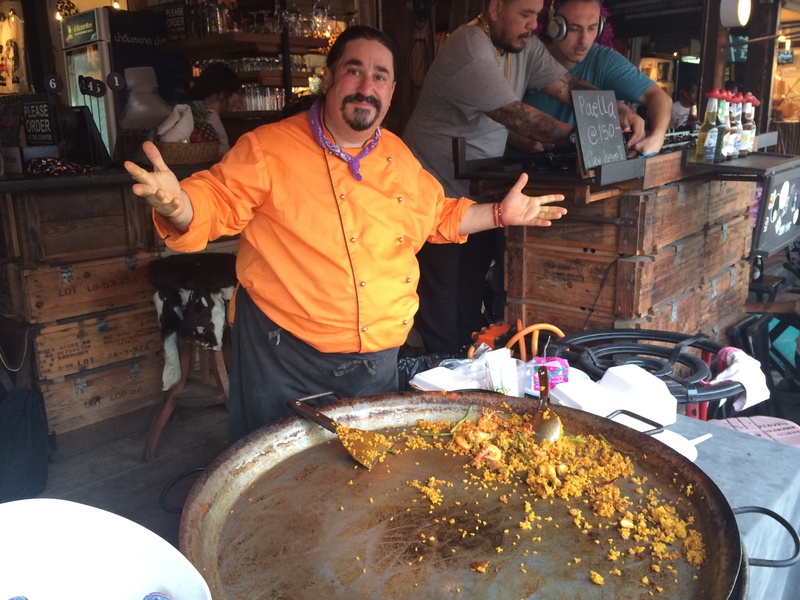 One of the more recent additions to Chatuchak’s food scene is a colorful Spaniard serving what might be the largest paella I have ever seen. On our last trip, we caught him at the end of the day and nearly out of paella – we got the last plate! And there’s plenty of cool bars tucked into various corners of the market where you can sit and enjoy a local Thai beer, or a coffee, a soda or even the perennial Thai favourite, bubble tea. There are so many things I didn’t picture here. From an art area of the market featuring local painters, artisinal ceramics and sculpture. 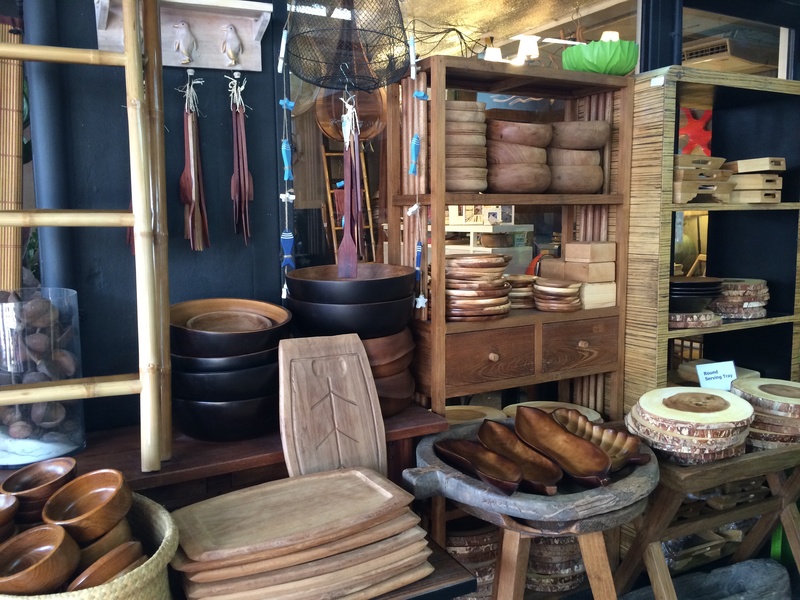 The furniture section seems limitless with lots of fantastic classic teak wooden Thai pieces and well as modern pieces. 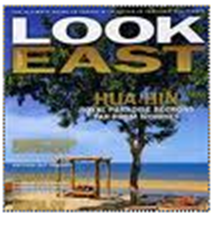 In the accessories section you can find loads of jewelry designers, handbags and more…. It’s a true extravaganza in every sense of the word! Go with plenty of sunscreen, a little patience and a sense of adventure and you’ll be fine.